Ten-year-old Ben Stone has had the nickname “All-in Ben” for years, because of his intense passion for whatever his interest is at the moment. With his birthday just around the corner, his parents, Matt & Laura Stone tossed out the idea of hosting a traditional birthday party. However, Ben had other thoughts. 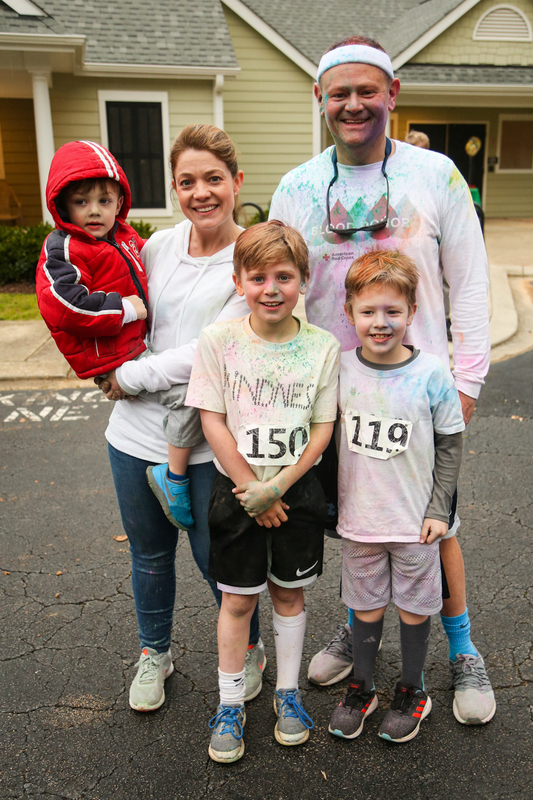 Channeling that “all-in” drive, Ben came up with the idea of doing a “color run” birthday event that would raise money to help kids around the world. Ben plays and loves the game of soccer. The thinking was to use his birthday event to raise money and give kids in disadvantaged situations new soccer balls. 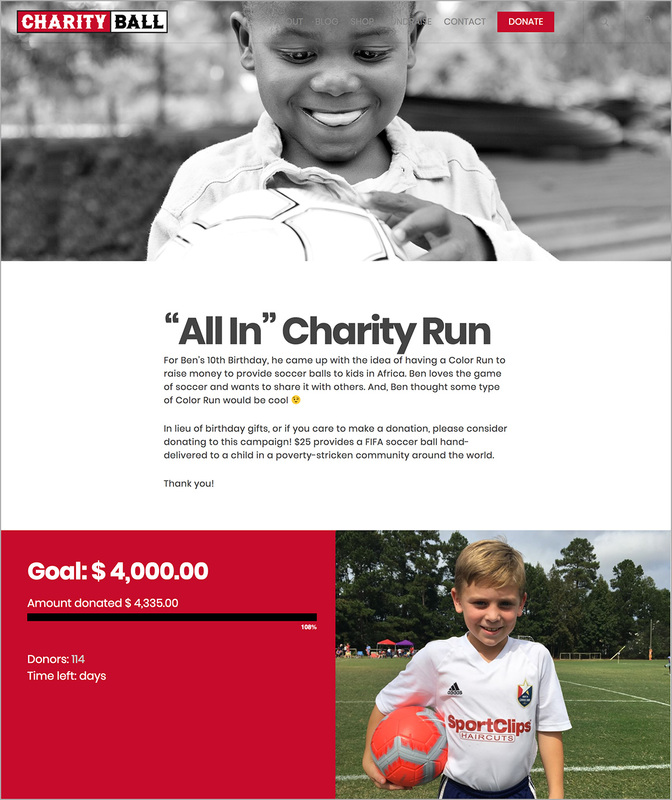 Matt and Laura did some googling and came across Charity Ball—a soccer charity that does exactly what Ben had envisioned. It was a great fit. 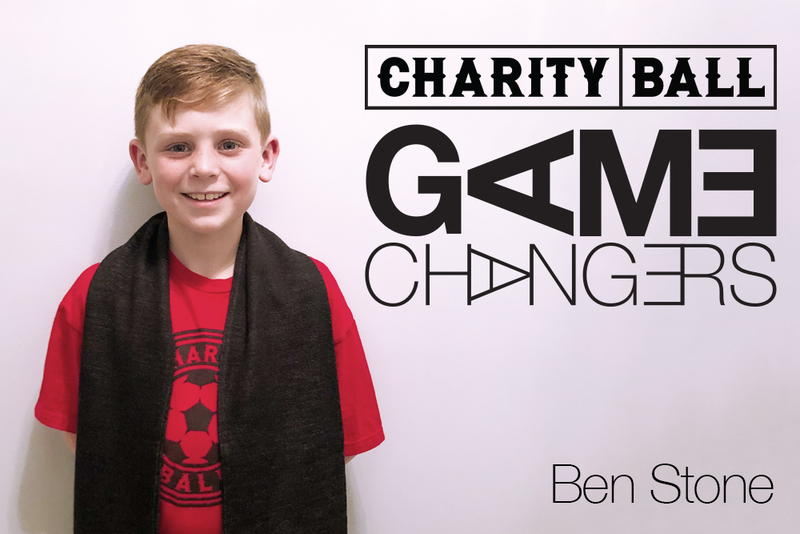 The fact that Charity Ball was created 9 years ago by a 10-year-old boy (like Ben) made it even better. With the help of his parents, he set up a Charity Ball campaign fundraising page with a big goal of raising $2500. 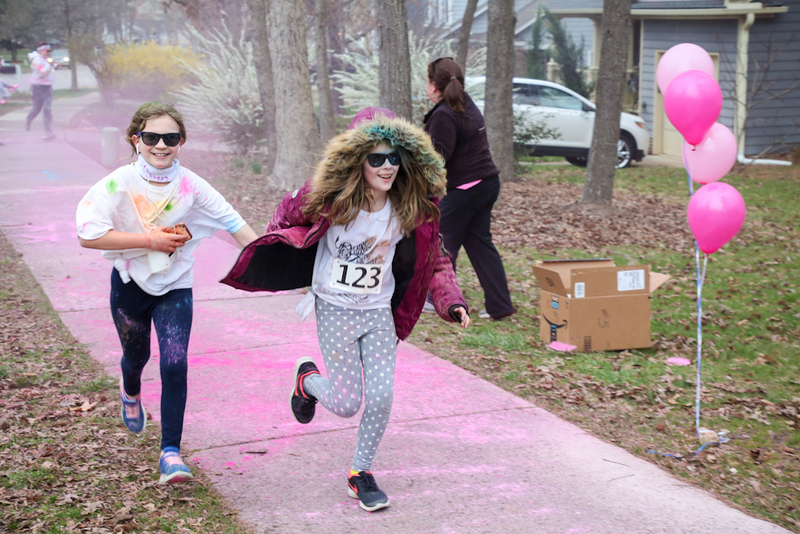 The Stones then sent out invitations and spread the word about Ben’s birthday color run with a link to his online page. Ben asked people to donate to his Charity Ball campaign in lieu of birthday gifts. The response was so overwhelming that the Stones increased the fundraising goal 2 more times. After doing some research on how to organize an amateur color run, and mapping out a local neighborhood course, the big day finally arrived. When the kids showed up and registered, they received a sweatband and sunglasses for eye protection. Matt & Ben shared about Ben’s initial idea for the color run and also more details about Charity Ball. Everyone was reminded that this was a RUN and not a race—the winners are the kids around the world who will receive new soccer balls. Color Run participants before running on the loop. 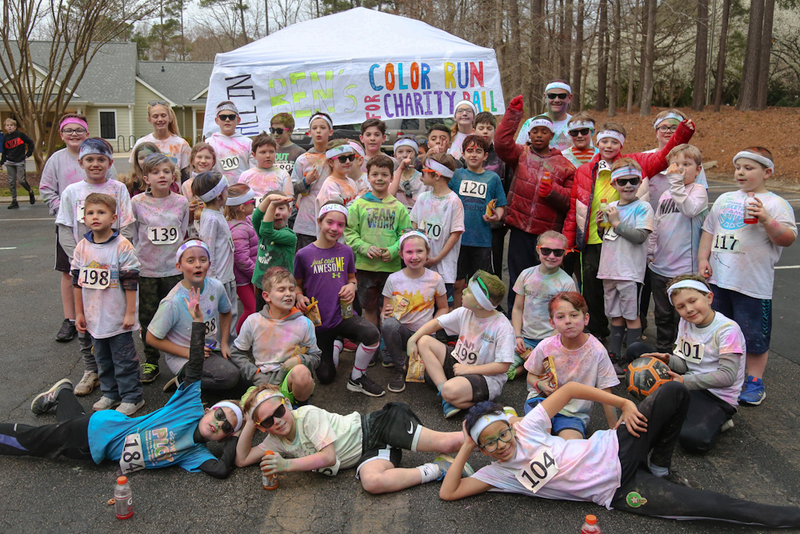 About 50 kids had a blast participating in the color run. 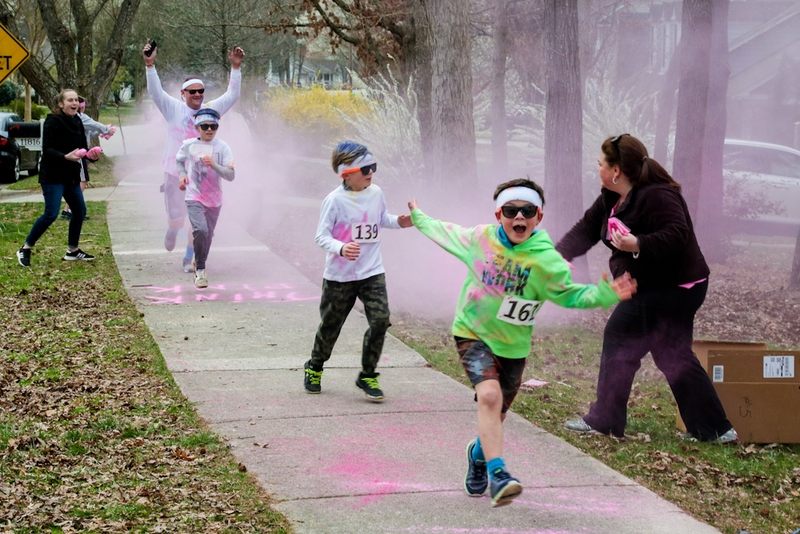 Lots of parents stayed and volunteered to work one of the six color throwing stations on the 1 mile loop course. 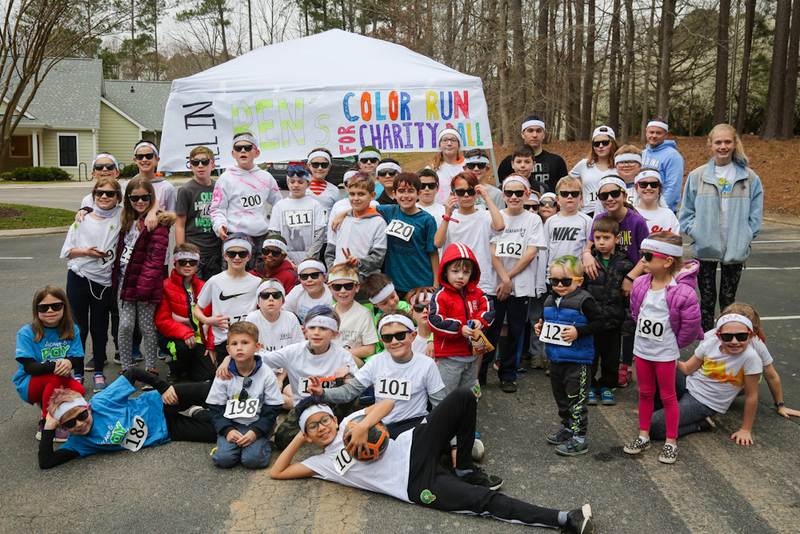 Ben’s birthday color run raised an astonishing $4,335 which will provide 173 new, quality soccer balls to children around the world. “We have been blown away by the individual number (over 100) of donors, and Ben is so excited about all the soccer balls that will be donated!” said Laura Stone. It’s absolutely amazing the kind of impact kids can have when they decide to do something about the needs of others. Ben, we’re incredibly proud of you. Thanks for giving back. Thanks for inspiring us. Thanks for making kid’s lives, and the world more beautiful. ps: Special thanks to all of you who rallied around Ben to make this event extra special in so many ways. Charity Ball is a soccer charity that provides new, quality soccer balls to kids in poverty-stricken communities around the world.